Vespa will also launch a hybrid scooter, the Elettrica X, which will include all the features of the Elettrica and provide 200km riding range. Piaggio’s iconic scooter arm, Vespa recently announced its upcoming scooter, the all-electric Vespa Elettrica. Revealed last month, the Elettrica looks almost exactly how you would expect a Vespa scooter to look like, and also has blue strips on its sides to show that it is all-electric. The primary facts about the scooter have been revealed by Vespa, which states that it will have a total riding range of about 100km per charge cycle, although that will be subjective to how you ride. 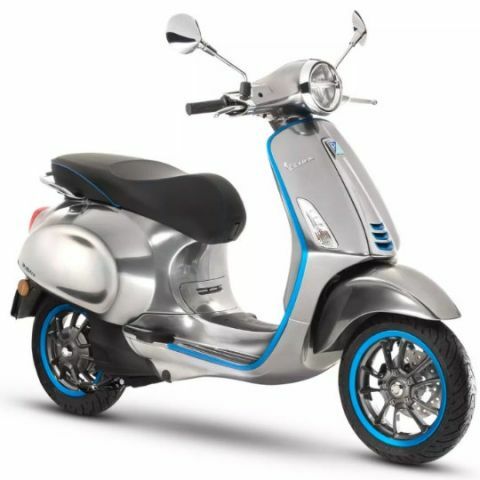 At such range, the Vespa Elettrica will obviously not be ideal if you’re going to travel long-ish distances, which is why Vespa states that it is essentially suited for city environments. In comparison, the more mainstream Vespa Primavera, which is powered by a 50cc engine, can travel for about 280km on a full tank, which sort of makes it more sensible to own (and more polluting too). A full charge of the Vespa Elettrica from a “normal wall socket” will take about four hours, and the battery itself is rated to last for about 10 years/70,000km. Vespa also states that after 1,000 charge cycles, the battery will show signs of depletion and be good enough only for up to 80 percent of its original capacity, although it has not yet revealed if the battery packs can be replaced after the decade-long run. The Vespa Elettrica is also integrating some interesting gadgetry, with a 4.3-inch display on its instrument area. Vespa also has an app that you can download on your phone and connect to this display via Bluetooth, to view incoming messages and phone calls, and also use Siri/Google Assistant to make calls or control music playback. These actions would require a Bluetooth-enabled helmet, which Vespa is also launching alongside the Elettrica. 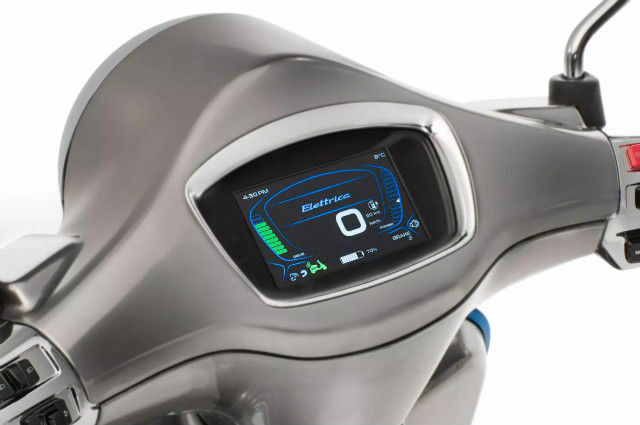 The central display on the scooter will also show the essential speed, range and charge time statistics, while the app can be used to access the scooter’s diagnostics and locate it on a map. Despite the limited range, the Vespa Elettrica does appear to be quite an interesting platform. Electric scooters are bound to increase in popularity, and with more such appealing gizmos, scooters like the Elettrica will be viewed upon as a lifestyle statement as well. If the 100km range is off-putting for you, Vespa has also stated that it will launch a hybrid variant - the Vespa Elettrica X, which will have yellow accents instead of blue, and offer double the riding range. The Vespa Elettrica is slated to be shipped some time in 2018, although the company is yet to reveal the exact shipping dates or its cost. A lot, we presume, will depend on how well Vespa manages to price it, seeing that it already comes with the compromise of limited riding range.